We all saw the terrific trailer of the Salman Khan - Anushka Sharma starrer Sultan, which released today. Salman and Anushka were excited and happy to release their trailer and spoke about their movie at the grand launch. Speaking about his experiences shooting for this challenging role of a wrestler, Salman, being his usual witty self said, “I enjoyed shooting in ‘langots’. 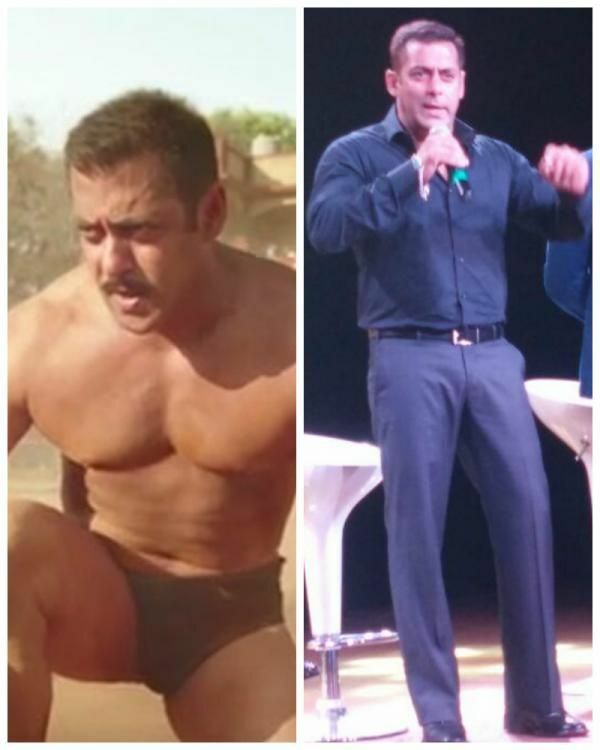 Now I know how heroines feel in shorts or in swimsuits.” Needless to say, Salman had the crowd in splits with this revelation. Well, we however know for a fact that Salman pulled it off quite successfully, don’t we? The film, which also stars Randeep Hooda and Amit Sadh is directed by Ali Abbas Zafar and all set to release on July 6.